One of the biggest challenges that the Obama administration faces over its Afghan-Pakistan withdrawal strategy is to decrease tensions between India and Pakistan. It is, of course, a complex issue. But the most dangerous element is almost certainly the nuclear arms racing between the two countries. What can the United States realistically do? Efforts to negotiate direct limits on the two countries’ nuclear forces are probably premature, so the United States and other countries have instead tried to constrain the racing indirectly, by limiting the amount of fissile material they manufacture. Fissile material, typically in the form of highly-enriched uranium and plutonium separated from the spent reactor fuel, is used to power a nuclear chain reaction explosion. Most of the established nuclear weapons states have excess fissile material left over from their Cold War build-ups. For this reason, their governments, supported by the international arms control community, have been trying to negotiate a Fissile Material Cut-off Treaty (FMCT) at the UN Conference of Disarmament in Geneva. This would end the manufacture of fissile material, at least for the purposes of making nuclear warheads (although some FMCT variants would permit the continued use of highly enriched uranium for submarine fuel, medical purposes, or other uses). Problems of definition and verification complicate these efforts, but the complexities of the India-Pakistan nuclear arms racing also play their part. To match India’s nuclear forces and compensate for India’s superior conventional military capacities, Pakistan is improving the quality, and expanding the quantity, of its nuclear weapons. The best estimates of Pakistan’s nuclear arsenal are that the country has about a hundred warheads, and has already produced sufficient fissile material to manufacture another hundred. Pakistan is also building new nuclear facilities and delivery systems, including ballistic missiles, and expanding its output of fissile material. As part of the latter process, Pakistan is building three more heavy-water power reactors at its Khushab nuclear complex to generate additional weapons-grade plutonium. Pakistan’s two existing reactors already manufacture about two dozen kilograms of plutonium annually, which Pakistani technicians use to make as many as four nuclear weapons each year. Pakistan wants to produce more advanced miniaturized warheads, which are easier to move and fire at more distant targets. Smaller, more sophisticated nuclear warheads require the use of plutonium rather than highly-enriched uranium. With new reactors and a reprocessing facility under (re)construction, Pakistan’s rate of production is considered the highest in the world. Pakistan’s nuclear arsenal has doubled to approximately 70 to 120 warheads over the last four years, with the capacity to produce an additional 7 to 14 weapons annually. The construction of the three additional heavy-water reactors, which will manufacture weapons-grade plutonium for decades, should propel Pakistan past India and make Islamabad the fourth or fifth largest possessor of nuclear weapons. Russia, the United States, and China will have more nuclear weapons than Pakistan, but Pakistan’s nuclear weapons total should surpass that of the major European nuclear powers of Britain and France as well as that of India. Although the primary purpose of Pakistan’s nuclear arms build-up is to counter India, suspicions also exist that Islamabad wants to pressure Washington not to ignore it, move too close to India, or take other actions that Islamabad opposes. Another objective is to continue to receive US financial and other assistance despite their bilateral disputes over Afghanistan or terrorism. But Islamabad may also see a larger nuclear weapons arsenal as a means to guard against any US effort to seize, disable, or destroy Pakistan’s nuclear arsenal—a concern that Pakistanis now openly express. The highly publicized capture of Osama bin Laden in central Pakistan and a decidedly more confrontational public approach regarding alleged official Pakistani support for the Afghan Taliban and other Islamist extremists have unsurprisingly alarmed Islamabad over possible American retaliation. Since Pakistanis often perceive the United States and India as colluding against them, taking measures to secure their nuclear deterrent against foreign plots would be natural. Pakistani officials have cited a number of complaints in justifying their exploiting the Conference on Disarmament’s consensus decision to block progress on a FMCT. In 2009, either unwittingly or by design, Pakistan precipitated a procedural dispute that stalled action on a FMCT in the conference. Pakistan then contributed to the conference’s subsequent inability to adopt a work programme in 2010 and 2011. One Pakistani concern is that a freeze on the production of new fissile material would place Pakistan at a distinct disadvantage vis-a-vis India. Although the nuclear warhead totals of both countries are roughly equal, India has a larger stockpile of fissile material thanks to its beginning such production earlier. Pakistanis also complain that the Indian-US nuclear cooperation agreement and similar international nuclear deals with India will place New Delhi in a superior position unless all stockpiles are eliminated. In return for India’s cooperation on a number of nuclear non-proliferation measures, these deals permit India to import dual-use technology as well fuel for its nuclear reactors. Complemented by a waiver from the Nuclear Suppliers Group (NSG), the deals will integrate India into international markets for trade in nuclear fuel and technology. Pakistanis fear that India will simply use imported nuclear fuel and material to substitute for previously indigenous contributions, which New Delhi will redirect to India’s nuclear weapons programme. 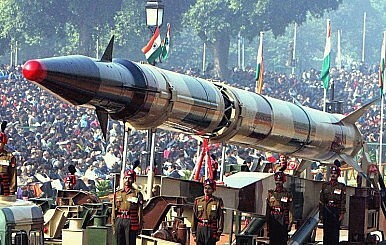 Among the many advantages, these arrangements would alleviate the pressure on India’s limited uranium supply, avoiding a trade-off between weapons and energy production, and, in the view of Pakistan, enable India to expand its nuclear arsenal through indigenously supplied fissile materials. Pakistan’s opposition to a FMCT apparently intensified after the Obama administration called for India’s eventual admission into the Nuclear Suppliers’ Group. The Pakistani government has demanded similar treatment from the United States and other countries, citing the principle of non-discrimination as well as Pakistan’s patent need for more electric power. But most other countries with major civilian nuclear power industries refuse to engage in such cooperation with Pakistan due to its association with nuclear proliferation and terrorism. They also worry that granting additional NSG waivers will undermine the incentives for states to adhere to the requirements of the Nuclear Non-Proliferation Treaty (NPT) for states not to develop nuclear weapons. Only China, Islamabad’s long-time great power patron, is prepared to assist Pakistan’s nuclear programme, and Beijing is being pressured by other governments to end this cooperation. With all this in mind, Pakistanis have emphasized their objections to the entire nuclear non-proliferation regime. Pakistan has refused to join the NPT on the grounds that the treaty allows some countries to possess nuclear weapons while denying that right to others. They also denounce the efforts of the United States and other countries to limit Pakistan’s nuclear arsenal as hypocritical. Pakistani representatives have indicated they might accept a FMCT in 5 to 6 years, after they have had time to augment their fissile material stockpile and achieve rough parity with India. Still, it’s unlikely that Pakistan would agree to join a FMCT even if many of its objections were met. The Pakistani military needs nuclear weapons to counterbalance India’s superior conventional forces. India’s defence budget is already many times larger than that of Pakistan, and India’s faster growth rate and larger population will ensure that Pakistani strategists will continue to consider nuclear as well as terrorist tools to reduce this disparity. Also, if an FMCT included means of verification, as is the current international preference, then Pakistan would have to subject its nuclear infrastructure to significant monitoring and safeguards to ensure it had ceased fissile material production. Pakistan presently operates three known centres of plutonium production: the pilot Pakistan Research Reactor (PARR) III, known as ‘New Labs,’ attached to the PINSTECH Laboratory; the two active reactors at the Khushab Nuclear Complex; and a probable nuclear reprocessing facility at the Chashma Nuclear Site. Although Pakistan’s transition to plutonium production may have reduced the scale of their uranium enrichment activities, it would still be necessary to inspect and safeguard enrichment facilities such as the Khan Research Laboratories. Nuclear power accounts for only 2.8 percent of Pakistan’s energy supply, but given its chronic energy shortages and the size of its recent investments in nuclear infrastructure, Pakistanis may attempt to keep their reprocessing plants in operation, which could significantly drive up the cost and complexity of verification. The amount of pressure Pakistan would face to close these plants would depend on the availability of resources for verification and the position adopted toward reprocessing in other nuclear states. All would have to be opened for inspection and safeguarding if Pakistan joined a treaty required it. The Pakistan government could allow the Conference on Disarmament to adopt a FMCT and then refuse to sign it. But Pakistani leaders would wish to avoid being isolated on yet another major nuclear arms control treaty, following the years of sanctions due to Islamabad’s refusal to sign the NPT, so they’ve presumably decided to prevent the treaty from being negotiated in the first place. To circumvent Pakistan’s veto, the other countries could draft and adopt a FMCT outside the conference, but China and perhaps some other countries sympathetic to Islamabad’s position would block that. India’s development of a ballistic missile defence system is another complication seen as requiring that Pakistan retain robust offensive nuclear forces. In this regard, Pakistan’s position resembles that adopted by China, which tacitly reserves the right to resume production of fissile materials in the event US ballistic missile defence deployments threaten the credibility of China’s nuclear deterrent. A fissile material production cut off without disarmament or security assurances would leave Pakistan exposed to India’s larger fissile material stockpile, superiority in conventional forces, and advanced defensive technologies. Pakistan’s reluctance to cease fissile material production is being driven by multiple factors that the treaty itself won’t address – only a major reduction in bilateral tensions between Islamabad and New Delhi could possibly lead to an agreement that would see Pakistan relinquish its option to expand its nuclear arsenal. In addition to curbing their production of fissile material, the international community should therefore try to encourage India and Pakistan to eschew operational postures that create incentives for one side to strike the other first. Conditions that encourage thinking about pre-emption include stationing warheads on ballistic missiles located close to the other’s border and placing more than one warhead on a single missile. Deploying tactical nuclear warheads is also destabilizing. They are less secure from terrorist seizure or accidents than larger warheads stored in remote and heavily guarded storage facilities due to their smaller size and easier mobility. They are also more likely to be used, whether deliberately or by accident, since they are often deployed by the operational forces and mistakenly seen as another battlefield weapons – or at least as a nuclear device whose employment is less likely to trigger a major nuclear war. It's a complicated and dangerous web for the US and others to help untangle.